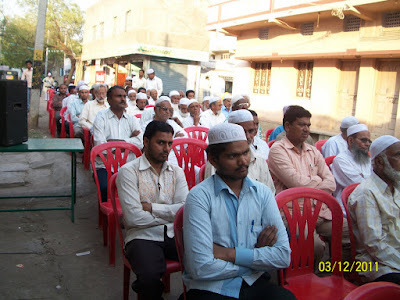 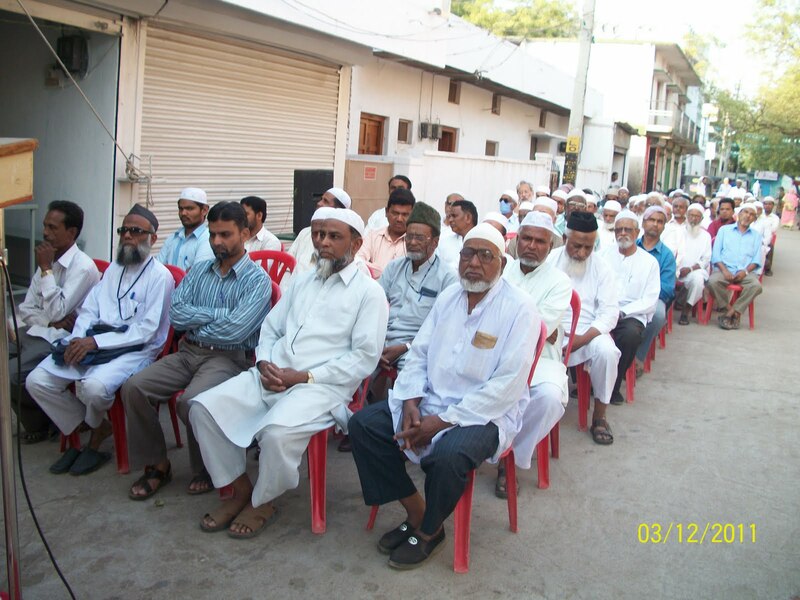 12th March 2011 by Jb Mohammed Yousuf Kanni, the newly elected member of Jamaat e Islami Hind house of representatives. He called the ummat to convey the message to the masses which is beneficial to them not only in this world but also in the life after. 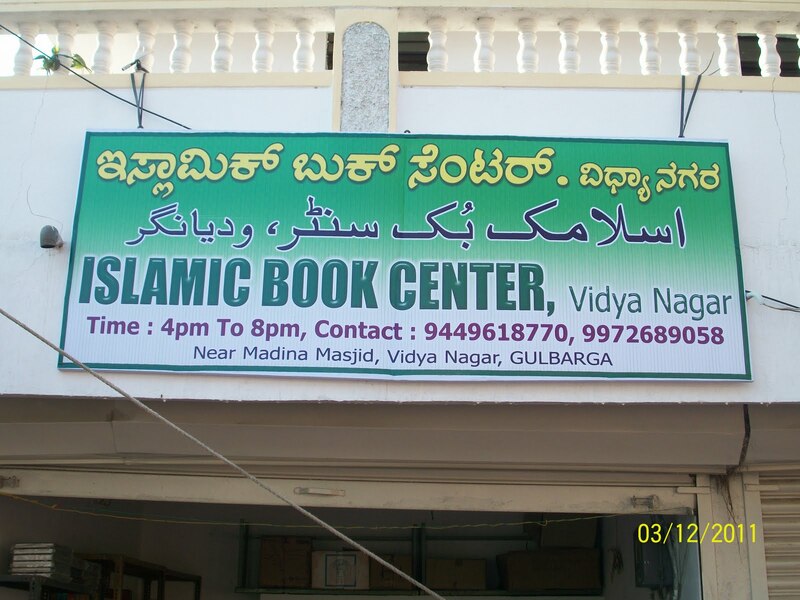 For this he stressed towards understanding the Quran & Sunnah and its message is conveyed to one and all. 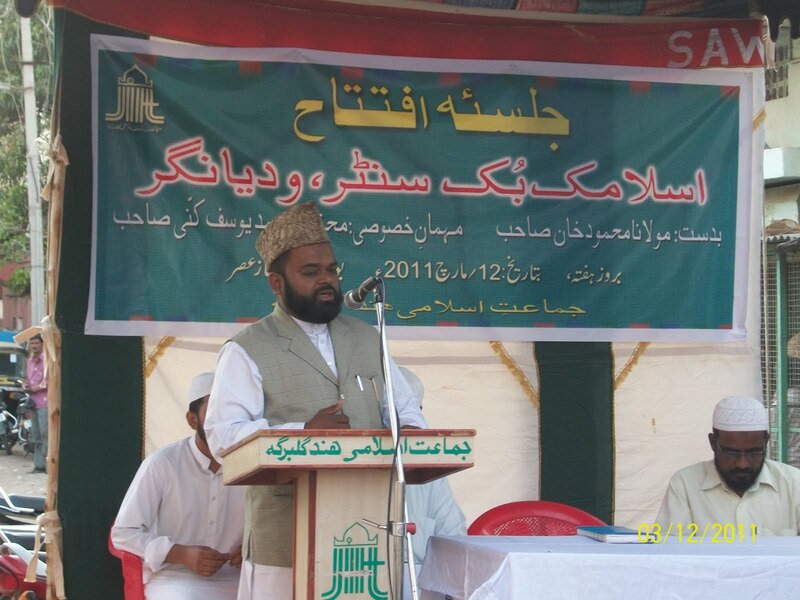 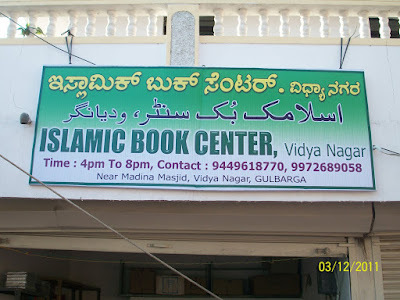 Addressing the gathering Jb Mohammed Ziaullah, President, Jamaat e Islami Hind, Gulbarga Unit said that The Islamic Book center was opened a year ago at the Faraan College Complex, and its branch is opened here today to cater to the rising needs of the people. 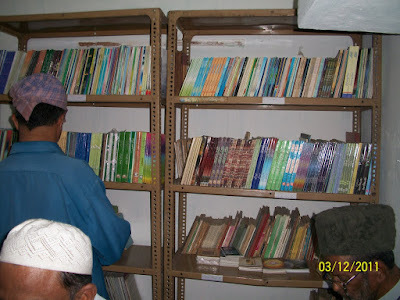 He said people can get benefited from this centre by 1. reading the books, journals, magazines which are being kept here as part of its reading room, 2. they can take the books to their home for reading from its circulation library and 3. they can also purchase books from this centre. 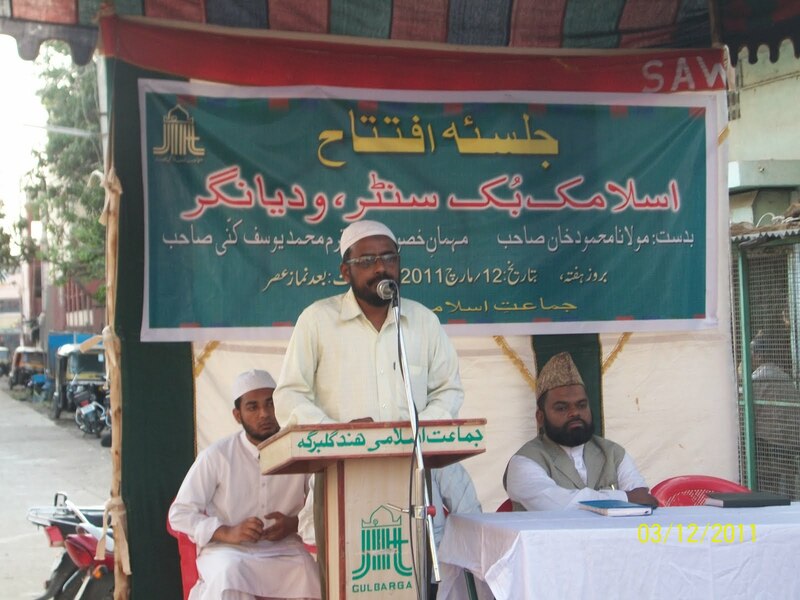 The programme was started with the recitation from Quran by Br Syed Shah Gouse Qadri.